There are different ways to experience Tasmania, and for us at Waterfalls of Tasmania we love to discover those memorable natural places that will inspire you to see more. Now that spring has embraced Tasmania and summer is looming, it's a fabulous time to herd the kids into the car, slap some sunscreen around, and enjoy a day or two experiencing some of Tasmania's best natural landmarks. 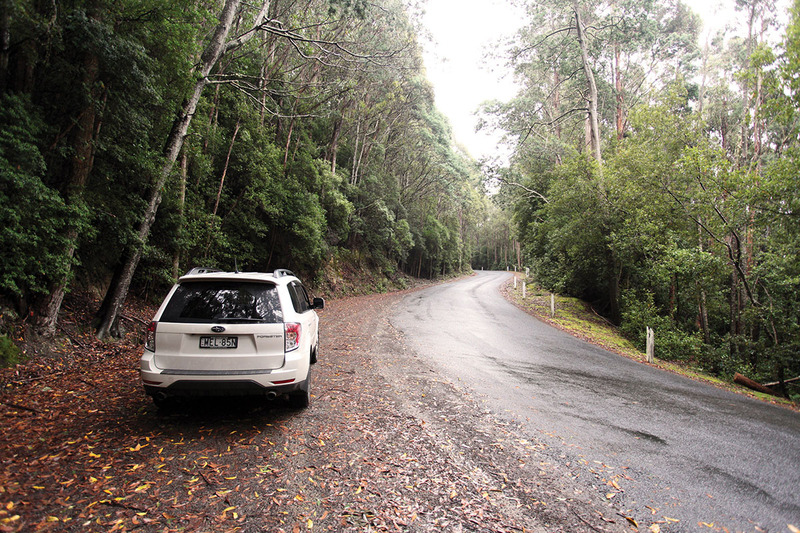 So here it is, our guide to the Ultimate Waterfall Road Trips in Tasmania. In Part 1, our focus is day trips from Tasmania's capital city, Hobart. With just over an hours drive from the heart of Hobart, Mt Field National Park is a superb place to visit anytime of the year offering magnificent hiking & camping experiences. It is also home to three waterfalls all accessible along a loop walk commencing from the Information Centre. The loop walk can be walked in any direction, and the track will take you directly to Russell Falls. A further 20 minutes of walking will have you falling in love with Horseshoe Falls. Further along the track is Lady Barron Falls. From Mt. Field National Park, a short 10 to 15 minute drive along Gorden River Road will take you to Tyenna, home to the lovely Marriotts Falls. This 1.5 hour return hike meanders through a small and picturesque grass plain before entering into forest. Unlike the well maintained tracks of Mt. Field National Park, Marriotts Falls is reached along a muddy and slippery track, winding its way through the forest. Fallen Trees obstructing the path may need to be negotiated, making this walk slightly more challenging. It's a two-for-one deal when you visit Pelverata Falls - the track provides a good view of Slippery Falls as well! Pelverata Falls is one of Tasmania's tallest waterfalls plunging over 100 metres from the cliffs above. Very popular with the locals, this well maintained and easy to walk track takes you directly to a lookout with grand views of Pelverata Falls. Both waterfalls tend to run dry in the heat of summer, so plan a trip to Pelverata Falls after significant rainfall. The Hartz Mountains National Park in southern Tasmania is an ideal destination for hikers boasting multiple hiking tracks for budding explorers to enjoy. For waterfall enthusiasts, the wonderful Arve Falls is accessible from a 30 minute return walking track (Arve Falls Track) directly from Hartz Road. As a bonus, you can also view Keoghs Falls from the Waratah Lookout Track, about 1.2 km's back down Hartz Road. Grab yourself an early morning latté and drive yourself to Strickland Avenue for the first waterfall on this road trip! It's only a short 5 to 10 minute walk to view the Strickland Falls but does require walking across slippery wet rocks when crossing the creek! Not suitable for small children. Ensure you're wearing excellent waterproof footwear too! Only 100 metres from the start of the Strickland Falls walk is the Rivulet Track, an ideal uphill track that leads towards the direction of O'Gradys Falls. Situated on the foothills of kunanyi / Mt. Wellington, O'Grady's Falls is just one of many waterfalls that can be accessed from the various hiking trails around the mountain, with many of the tracks intersecting each other. This walk is a 2.5 km / 40 minute return walk suitable for the entire family. You already have 2 waterfalls under your belt! Now lets get to a third. Silver Falls is a short 5 to 10 minute drive from where you parked your car at Strickland Falls. Find parking at Ferntree, and locate the track that commences opposite Sumerleas Road. This track is called the Pipeline Track and meanders adjacent to Huon Road. Signage will point you in the direction of Silver Falls, and within 10 to 15 minutes you will reach this very cute destination! You can return the same way you came, or you can do a loop walk along Middle Track back down to where your hike began. Another popular Tasmanian waterfall is the very pretty Snug Falls situated in the Snug Tiers Nature Recreation Area. The track to this waterfall is easy to navigate but does tend to be muddy. However, the idyllic location that awaits you at the end of this track is well worth any mud you may encounter. A relatively short return walk, you will be required to walk up hill on the way back from visiting Snug Falls. Allow yourself a minimum of 45 minutes. These are just three out of many day trips that can be planned for visiting multiple waterfalls in a single day. As a resource, our Waterfall Map page shows many locations of Tasmania's waterfalls, with many of those waterfalls documented right here on this website. There is also the Waterfalls of Tasmania Facebook Group you can join to learn more about Tasmania's waterfalls. Boasting a membership of over 6,500, the Facebook Group is a great resource that compliments this website.